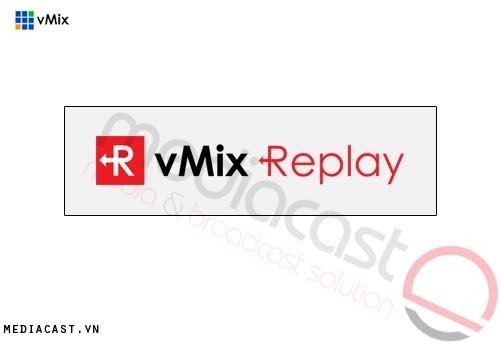 vMix Replay là phần mềm làm chậm cho 4 camera của vmix. 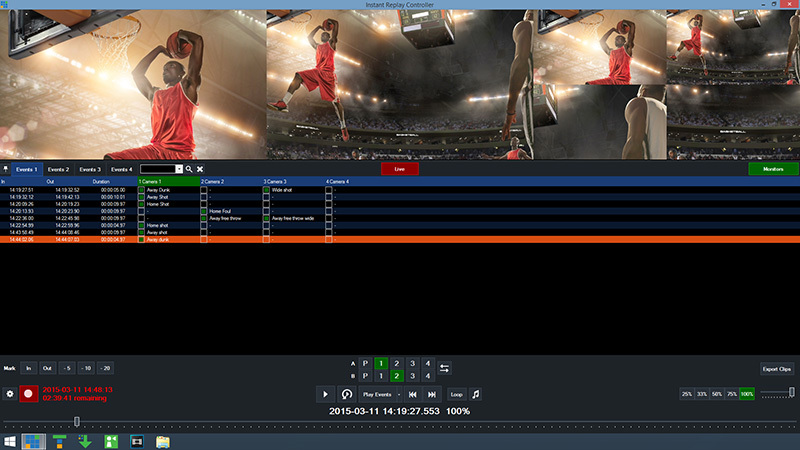 Enhance your live sports productions with the power of instant replay! vMix Replay continuously records up to four cameras simultaneously in full HD so operators can review the action and jump back to any point in the game all with real time control over camera angle and playback speed. 2 channel playback is also included with the ability to show audiences two camera angles side by side or in almost any arrangement you can think of. Create events on the fly with the traditional Mark In a Mark Out buttons or use the time saving 5, 10 and 20 second button presets. If a goal is missed, no problem! Simply drag the position slider back in time to any moment in the game to create a new event. 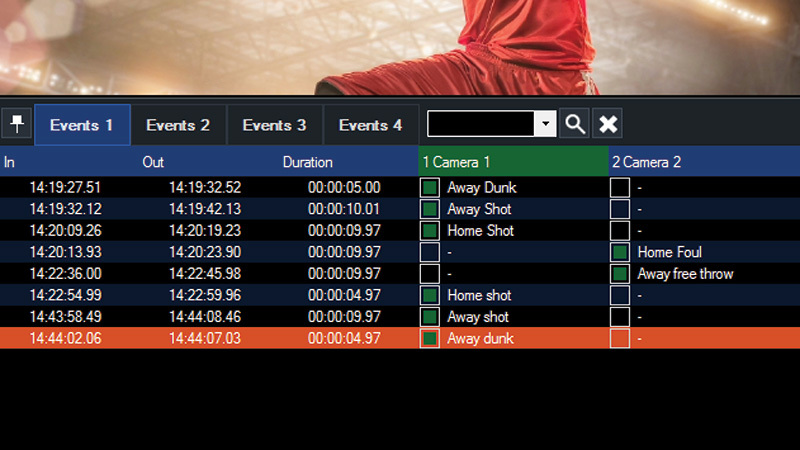 Tags can be added to any event with the click of a button and each event can be moved to one of four events categories. 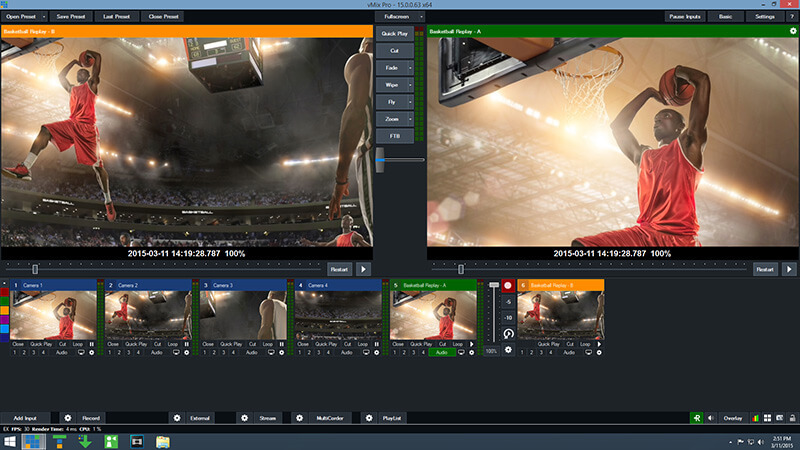 Keep the audience engaged at half-time with easy highlight reel creation. Simply select one or more events and click Play Events to watch all the action unfold with built in transitions and optional background music. 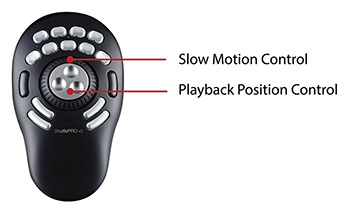 vMix Replay works out of the box with the Contour Design ShuttlePRO v2 allowing fine-tuned control over slow motion with the jog dial and frame by frame movement with the shuttle wheel. Each of the 15 buttons can be customised to control almost anything in vMix including Mark In/Out and switching camera angles. Standard keyboard and mouse controls can also be used including the ability to control slow motion with the scroll wheel.